Pie is the new cake. At least that’s what I’m going for. How are your pie baking skills? 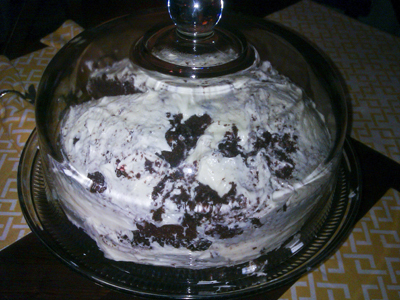 You are so talented at so many things….Baking just is not one of them. How did it taste? Tell the truth…did you drop it..more than once? 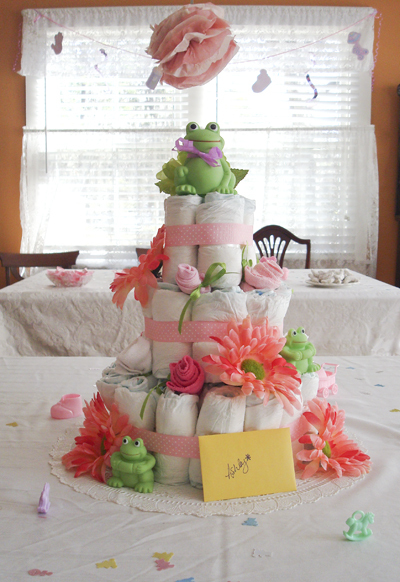 The diaper cake is amazing!! I love the addition of the frogs, too cute! Super thanks! She has a frog themed nursery in the works, and my mom just happened to come across those little hoppers! Love it when a plan comes together!